It’s been a very long, cold and snowy winter here in New York and many other parts of the country and I’m happy to feel Spring poking it’s head out of all the winter white with some 40 degree weather this week! I also love to get a little taste of sunshine this time of year with a bite of in season citrus fruits. 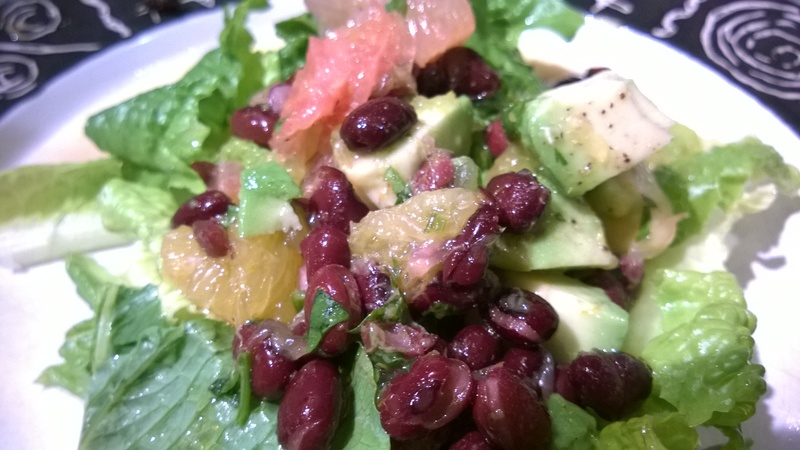 Oranges, clementines, grapefruits are all in season now and add a nice refreshing twist to this winter salad. 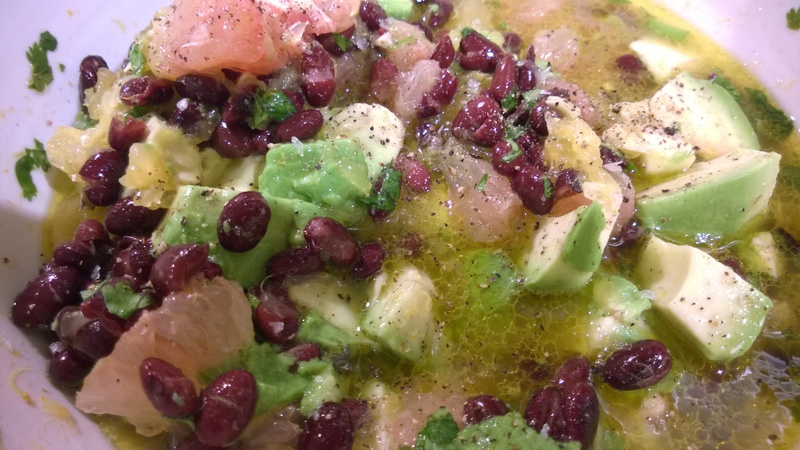 There’s citrus in the salad along with black beans and creamy avocados and citrus in the dressing with a little extra freshness from chopped cilantro. 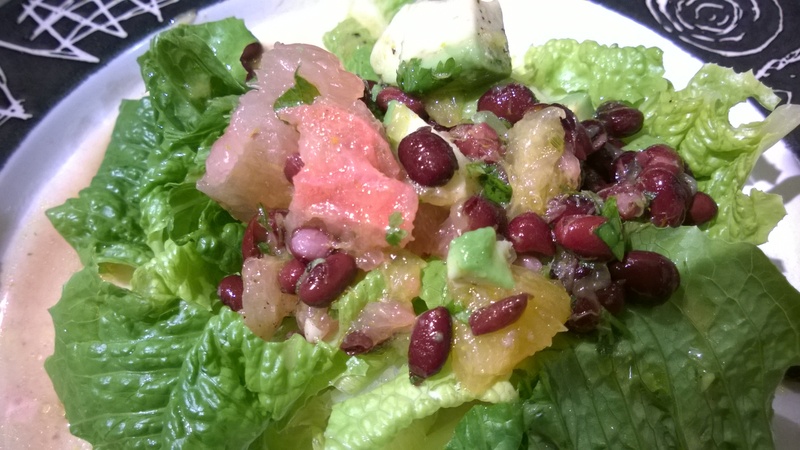 This bright, colorful, fruity salad is simple and delicious. I like to eat this atop some crunchy Romaine leaves alongside cheesy quesadillas, or top with your protein of choice for a nice light main dish salad. 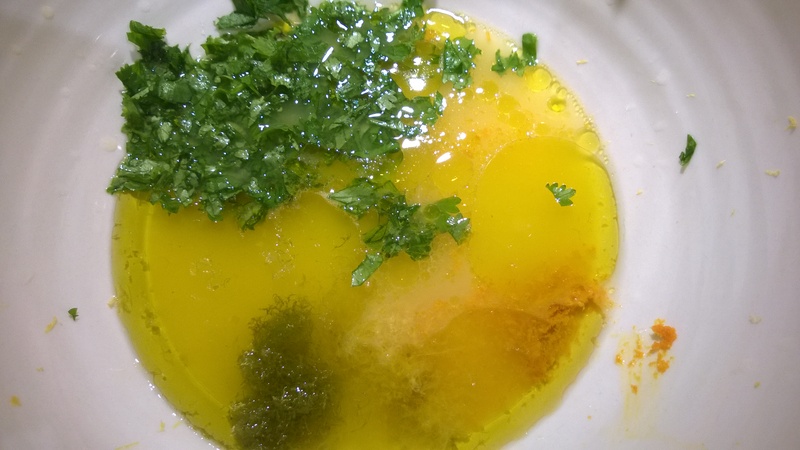 In a medium bowl, mix all of the dressing ingredients together. 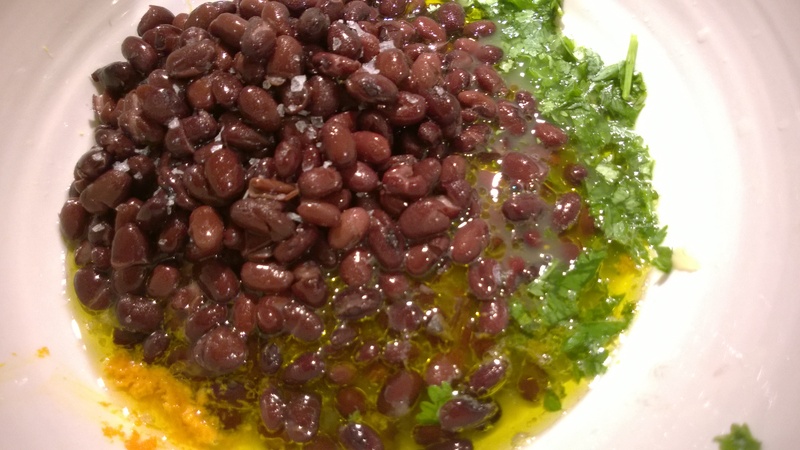 Add the drained and rinsed beans to the dressing and stir to combine. Peel all the grapefruit and orange or clementines and cut into bite size pieces. I like to remove the inner skin from the grapefruit, but don’t usually bother with the orange. Gently stir the salad together. Either serve on romaine lettuce leaves or tear up the lettuce and toss right in the bowl. This salad is perfect on the side of cheesy quesadillas or make a one dish lunch or dinner of it topped with grilled fish, chicken or tofu for an extra protein packed meal. Enjoy!